LtZonda has teamed up with noblechairs to gift one of his fans with brand new gaming chair! 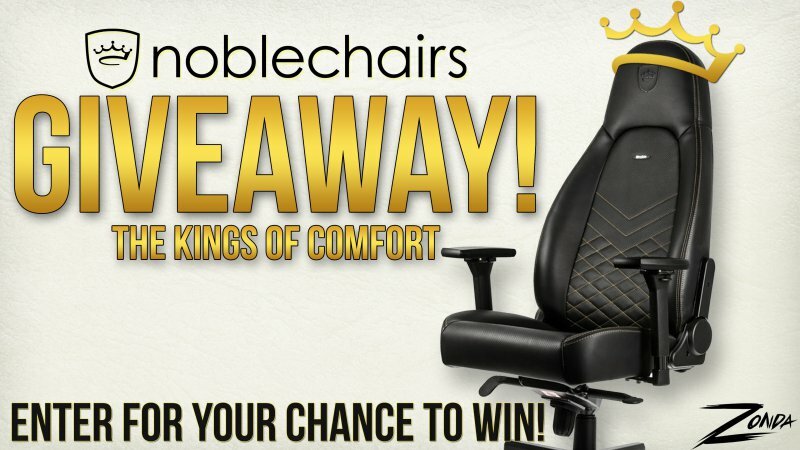 To enter in this 2nd noblechairs ICON Series Gaming Chair Giveaway grab your free entries by following few simple steps listed down below! As the suspension on a sports car contributes to the quality of the ride, the real-world performance of the ICON is decided by its ergonomics. The construction of the ICON series has necessitated an unrelenting level of precision engineering: 4D armrests, 90° to 135° of backrest adjustability, a robust 11° rocking mechanism and a safety class 4 gas lift supporting up to 150 kg coalesce to offer a superior sitting experience. Winner will be notified by email at the email address provided in the Entry Information approximately. Potential Winner must accept a prize by email as directed by Sponsor within WINNER ACCEPTANCE TIMEFRAME of notification.